UPDATED: Thu., March 8, 2018, 5:30 p.m.
Gonzaga is on a lengthy list of basketball powers recruiting standout point guard Brandon Williams, according to 247sports.com. Williams originally picked Arizona over Gonzaga, USC, UCLA and Kansas. Williams last week became the third Arizona commit to re-open his recruitment since the Wildcats were linked to the FBI investigation into corruption in college basketball. Williams, a 6-foot-2, 185-pound point guard from Encino, Calif., is ranked No. 31 in the 2018 class by 247sports.com and No. 40 on ESPN.com’s top 100. Williams told 247sports.com he’s been contacted by Oregon, Kansas, UCLA, Oklahoma State, Arizona State, Connecticut and Georgetown and expects to hear from Kentucky. He’s a long-time fan of Arizona and the Wildcats remain in the picture. His list of high-powered programs figures to grow longer in the coming weeks. Gonzaga head coach Mark Few attended Williams’ game Wednesday night. Williams had 18 points and 10 rebounds in Crespi’s 72-53 playoff win over Bakersfield. The Zags have one open scholarship if all of their underclassmen return next season. GU has a few players, including Rui Hachimura and Killian Tillie, that have appeared on NBA mock drafts but haven’t announced their future plans. Gonzaga has also been active with graduate transfers. Williams is planning at least two visits: Gonzaga and Oregon. 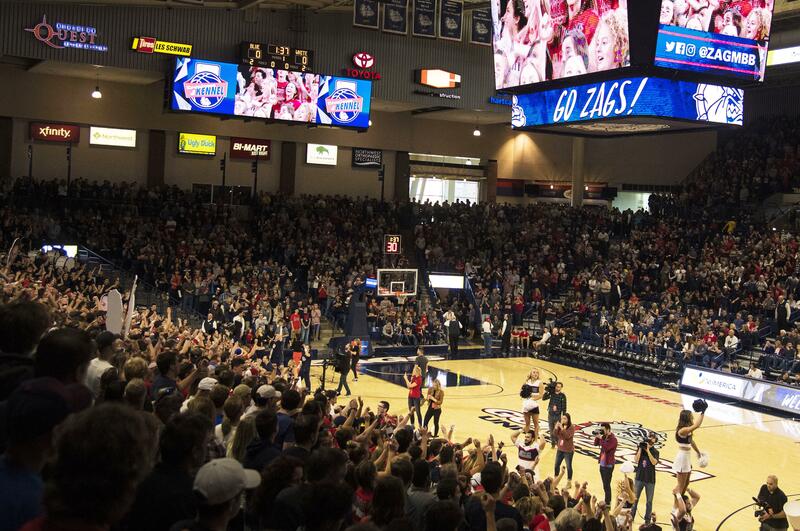 The Zags “have been there from day one,” Williams said. Williams has been complimentary of the Zags in recent interviews. Gonzaga has junior point guard Josh Perkins, who has been a two-year starter and was recently named first-team All-WCC. The Zags also have freshmen Jesse Wade and redshirt Joel Ayayi. Gonzaga has commitments from 2018 point guard Greg Foster Jr., 2019 guard Brock Ravet and 2020 point guard Dominick Harris. Published: March 7, 2018, 4:36 p.m. Updated: March 8, 2018, 5:30 p.m.